Tidal sandbar in Sruwaddacon Bay which is the broad estuary of the Glenamoy River. 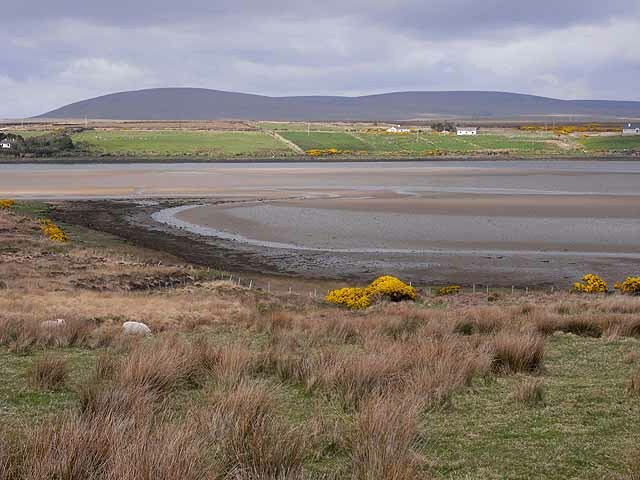 Beyond the estuary lies the Ross Port peninsula, and beyond that again is the Carrowteige peninsula with the hills flanking the cliff-bound northern coast of County Mayo. This page has been viewed about 154 times.